Using fashion shots off Pinterest for reference. The drawing surface is Strathmore Sketch paper. 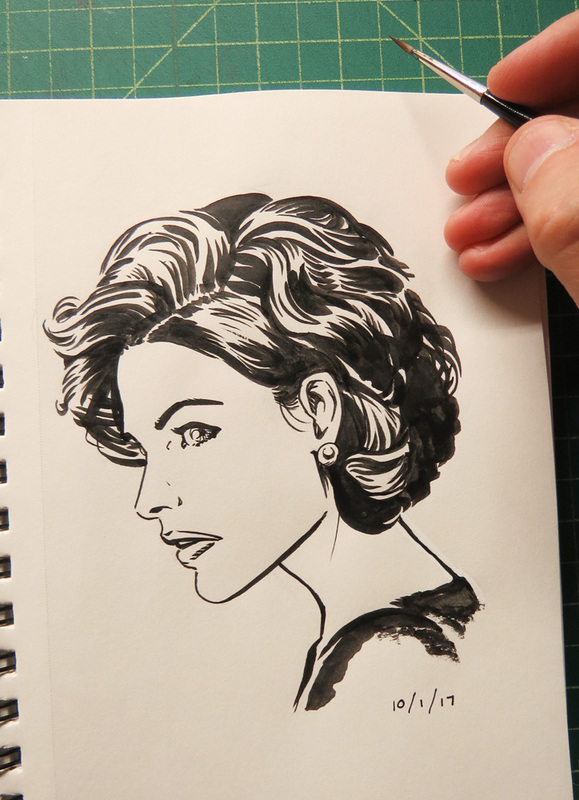 Inked with a Isabey Red Sable Round Brush, size 2.